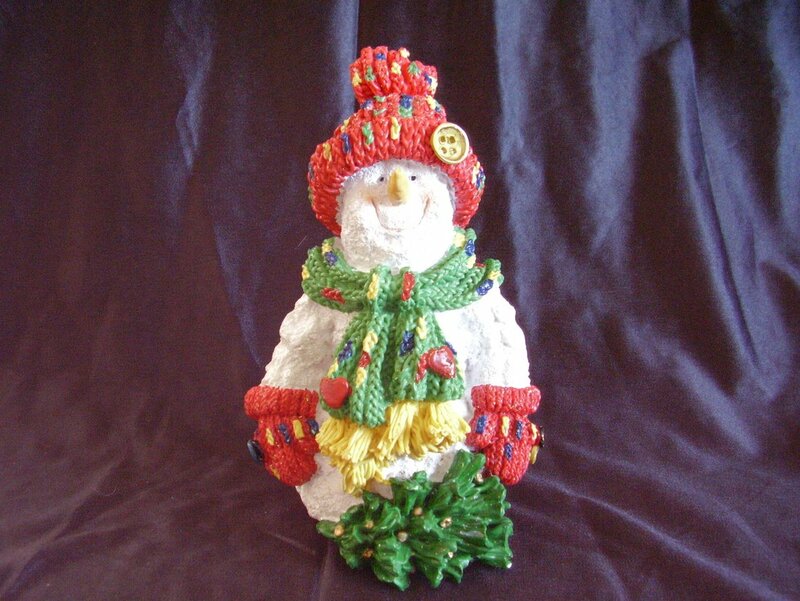 Collectible Christmas Snowman statue. Made of resin he measures 8 3/4 inches tall x 5 inches wide x 5 inches deep. He looks to be brand new. There is no box. 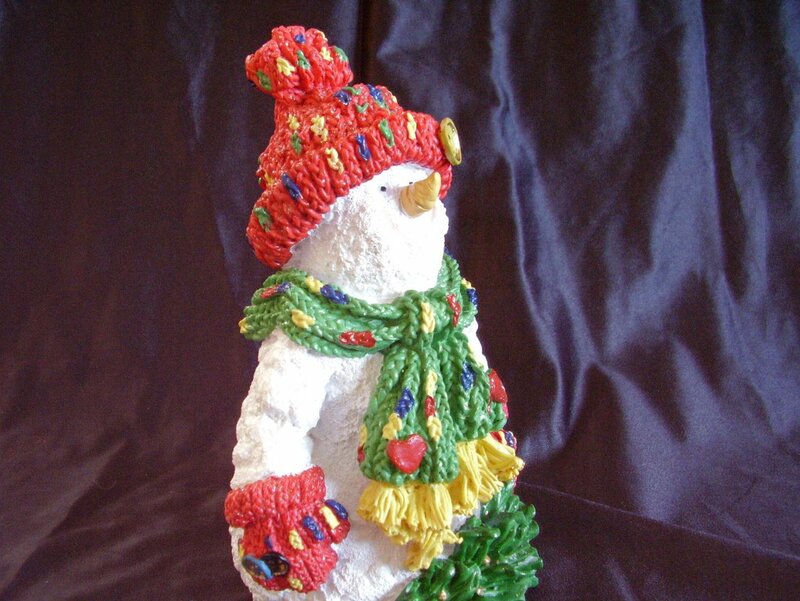 Collectible Christmas Snowman statue. 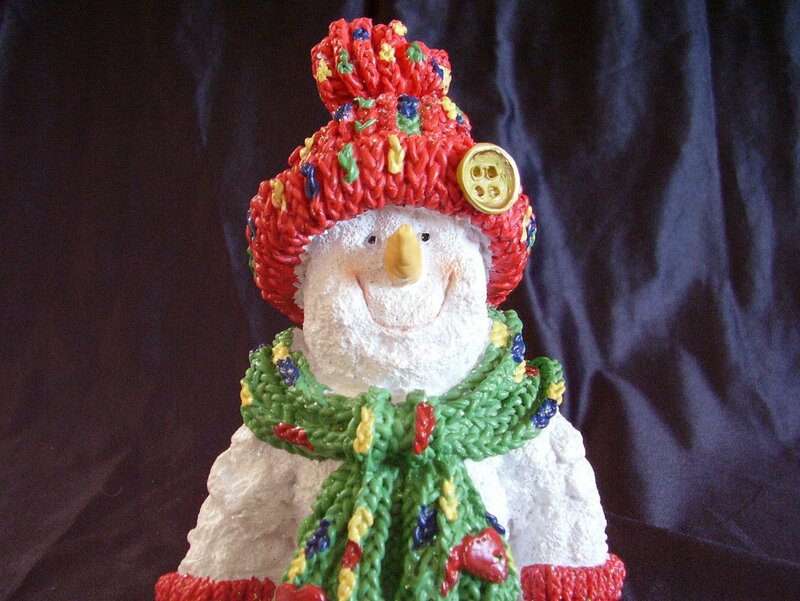 Made of resin he measures 8 3/4 inches tall x 5 inches wide x 5 inches deep. He looks to be brand new. There is no box. 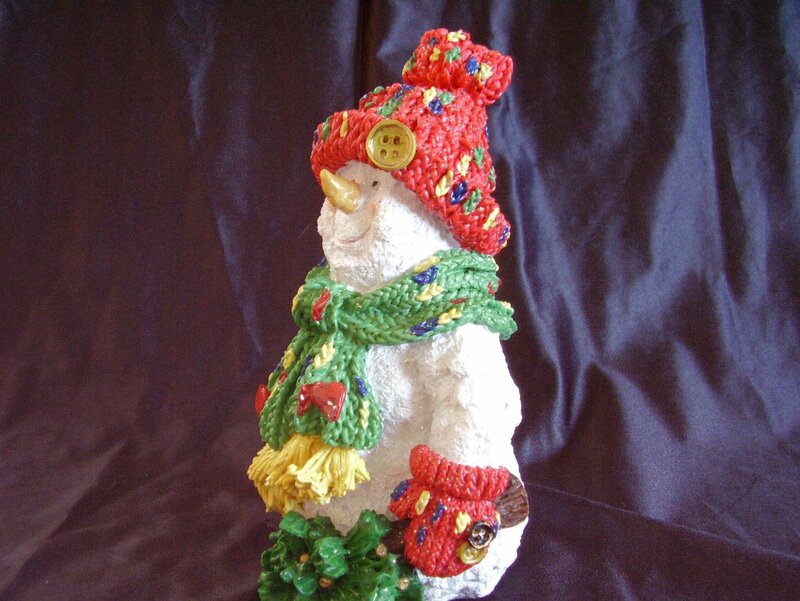 Absolutely adorable snowman dressed in a green scarf and matching red hat and mittens. Little resin buttons enhance his outfit.